Indomie is a brand of instant noodle by Indofood, the largest instant noodle manufacturer in Indonesia with 72% of market share. It is distributed in Australia, Asia, Africa, New Zealand, the United States and European and Middle Eastern countries. Outside its main manufacturing plants in Indonesia, Indomie is also produced in Nigeria since 1995 where it is a popular brand and has the largest instant noodle manufacturing plant in Africa. Indomie is a form of instant noodle spiced for the Indonesian palate. 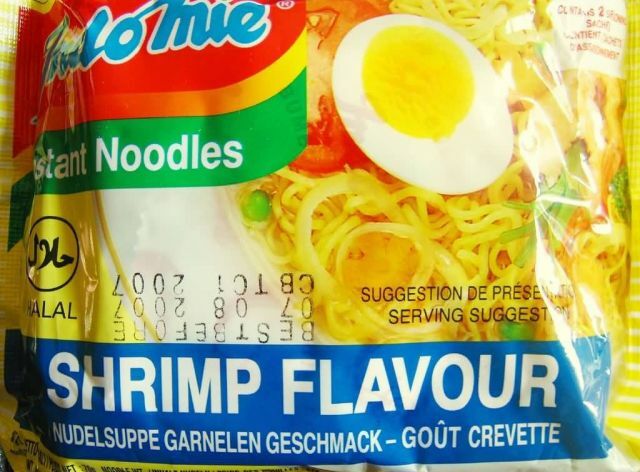 The most popular flavour is Indomie Mi goreng, followed by Indomie Soto Mie (Noodle Soto flavour), Indomie Bawang (Onion Chicken), Indomie Kari Ayam (Chicken Curry), Indomie Kaldu Ayam (Chicken stock) and Indomie Ayam Spesial (Special Chicken). Indomie noodles comes in a variety of brands and flavours. Currently, there are around 38 flavours of Indomie instant noodle variants available in the market. Indomie brand is divided into 7 product categories; Indomie goreng (fried noodle served without soup), Indomie kuah (with soup), Indomie Jumbo (large), Selera Nusantara and Kuliner Indonesia (Indonesian cuisine), Mi Keriting (premium curly noodle) and “Taste of Asia”.